Bhubaneshwar, Jan 17 (IANS) New scoring rules encouraging field goals and an equal distribution of Indian talent make the fourth Coal India Hockey India League (HIL) an exciting contest, beginning with a showdown between Kalinga Lancers and Uttar Pradesh Wizards at the Kalinga Stadium here on Monday. However, Ranchi Rays captain Ashley Jackson, himself a drag-flicker, feels the set-piece specialists' roles can not be underestimated. "The forwards will enjoy playing with the new rules in play but in that process they may end up earning more number of penalty corners and and the drag-flickers can't afford to miss out on them as always," Jackson, who captained his side to glory last year, said. "So, I am excited and eager to see how the rules impact the games. The rules will certainly impact the results of the matches and the scorelines," the Englishman, who has played for Ranchi based teams from the first edition, added. But Indian drag-flicker V.R. Raghunath, who will lead Uttar Pradesh Wizards, said that penalty corner exponents will feel less pressure this time around. 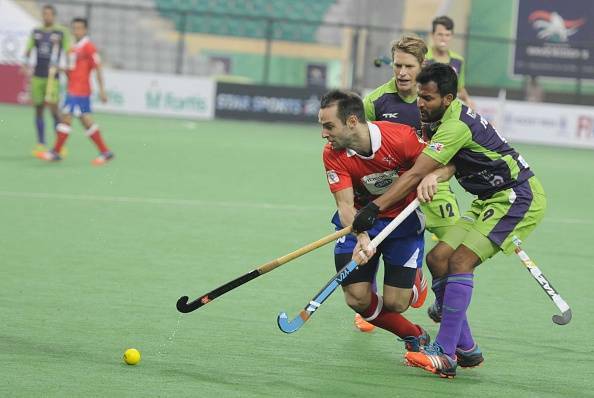 Raghunath's Wizards have not reached final in the past three editions and to do that they have made some crucial buys in the form of German Tobias Hauke, Australian Jamie Dwyer, Akashdeep Singh and Argentine duo of Augustin Mazzilli and Gonzalo Peillat. Nikkin Thimmiah, Affan Yousuf, Gurmail Singh are crucial additions to Mumbai, while S.K. Uthappa, Dharamvir Singh, Malak Singh, Amit Rohidas will boost Kalinga's chances. Apart from this, some players in Lancers have grown in stature -- Devindar Singh Walmiki and Lalit Upadhyay -- are now part of the national team. Local defender Dipsan Tirkey, who was 15 when he joined the side in 2014, now serves as the vice-captain of India's Under-21 side. Dipsan is another supreme talent from the tribal belt of Odisha. Three players who will be in focus are Sardar Singh (from Delhi Waveriders to Jaypee Punjab Warriors), Australia's five-time world player of the year Jamie Dwyer (from Warriors to Wizards) and Sandeep Singh (from Warriors to defending champions Ranchi Rays. Among Mumbai's list of players, Florian Fuchs, Nikkin David Harte, Harmanpreet Singh, Jeremy Hayward and Matthew Swann hold key, while for 2014 champions Delhi Waveriders, Simon Child, Rupinderpal Singh, Yuvraj Walmiki, Talwinder Singh, Harjot Singh and Steven Edwards are important.